“No more bets!” Those famous three words are uttered by dealers at the roulette tables at casinos all over the world. Whether you’re in Las Vegas, another casino in the US, one in Canada, or a casino across the pond, the rule is the same. Toss your money onto the felt after those three words are uttered and you’ll be paid a visit by the pit boss. Your bet will likely be disqualified and, in some cases, you could be booted out of the casino. Unless, of course, you’re a high roller. According to testimony in a recent court case, high rollers get away with way more than any ordinary player could dream of. The case in question is the firing of pit boss Marie DeGiacomo at Mohegan Sun. She was let go from her position after the casino accused her of being in cahoots with a high roller, colluding with him to allow late bets at the Blackjack table. It all stems from a big whale named Matthew Menchetti who spent as much as $50,000 in a single visit to the casino. He’s lost an estimated $1 million to the casino over the course of his lifetime. He has the money to burn, so the case isn’t about him wanting to get money back. It’s about dealers performing special favors. After a string of losses, casino security noticed some play that appeared to be suspicious back in February. They involved the police and asked the state to arrest both Menchetti and two Blakjack dealers. The police detective on the case concluded that Menchetti wasn’t part of any collusion. Instead, DeGiacomo and another dealer decided to do what was necessary to make sure Mechetti stayed happy and continued playing. No charges were filed in the case, but the casino ended up terminating DeGiacomo. many dealers testified that dealers and pit bosses make it a habit of doing what it takes to keep whales happy. It’s sort of an unwritten rule that many casinos employ, though it’s easier to bend the rules at a Native American casino where the state doesn’t have as much oversight as it is at a state-licensed casino like those in New Jersey where regular scrutinizing is enforced. Apparently, it’s not just late bets that are tolerated. Harassment, rude behavior, and even violence, in some cases, is accepted at the high roller tables. At a $5 Blackjack table, being rude will get you kicked out of the casino, and often physically removed if necessary. But in a high roller room, it’s almost as though anything goes and blind eyes are turned. Toss a drink in a dealer’s face as a high roller and you’ll probably be thanked by the suddenly wet dealer. 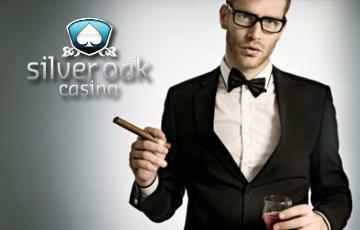 At Silver Oak Casino, we welcome high rollers, but we don’t offer any special treatment in terms of late bets or harassment to our staff via live chat or email. Everyone here is treated equally (though our VIPs do end up getting special rewards and incentives). What do you think? Is it right that the rules are bent for high rollers? Sound off with a comment and let us know.